I truly encourage all Society members to apply for the summer internship with Better World Books (BWB)! Since BWB adapts projects to you, this internship allows you to bring your strengths and your skill set, at whatever stage you are, to a real world professional environment and lets you see what you are capable of and what you need to work on (and six weeks gives you plenty of time to grow and strengthen current and newly acquired skills). 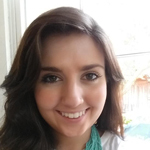 I first learned about BWB and their internship after my induction into Sigma Tau Delta. Once I knew there was an opportunity to apply for an internship I immediately began working on becoming eligible—which meant hosting a book drive for BWB. My Sponsor was one hundred percent supportive of my goal and of running a book drive and so we made 250 bookmarks that advertised our book drive, set up booths to spread awareness about our partnership with Better World Books, made a video that compiled many different students’ and professors’ feelings about illiteracy and the book drive we were hosting, collected just under 1,000 books, and, finally, organized all of our hard work into an online presentation that became part of my internship application. As my first day approached I was as excited as I was nervous. 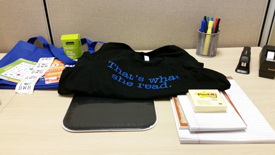 One of my first favorite experiences that helped calm those nerves was my welcome to the office package—a tote bag, stickers, bookmarks, magnets, a mini drop box, flowers for my desk, and a “That’s what she read” T-shirt. My time at BWB was spent with their Acquisitions Department. I provided research for many projects, proofread and edited miscellaneous documents, redesigned/reformatted documents and presentations, and created documents from scratch to aid the Acquisitions team in the office and at conferences. What I loved most about this internship is that from the beginning BWB stressed that the internship was not just about what I could do for them, but what they could do for me. Nearly every week of my stay I had a meeting set up with a different employee who had a lot of experience, a lot of advice, and a lot of insight to share with me. The fact that everyone, from Account Executives to the CEO, made time to sit down with me showed me how much I was valued. Outside of my projects and meetings with employees I attended weekly meetings with the entire Acquisitions team, providing me an understanding of how people communicate within collaborative work settings. 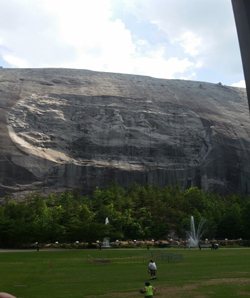 To top it all off I was invited to their office picnic at Stone Mountain Park. 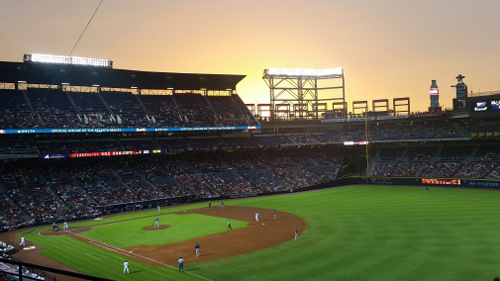 Not only did I get to interact with my coworkers in a fun, casual setting, but at the raffle they put on I won tickets to a Braves game! My First Pro Baseball Game! In six weeks I learned what I was capable of, saw how to interact and communicate with coworkers in a professional environment, developed skills in research, document design, and proofreading, received valuable advice, and made some great connections and friends. I cannot say thank you enough to BWB and Sigma Tau Delta for offering this opportunity and to my chapter and Sponsors for both helping and supporting me in pursuing this internship. 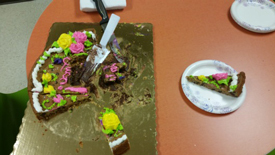 On my last day I was surprised with a going away office party. Over delicious cookie cake we reconnected on how my time at BWB went. I will be taking everything I learned and experienced with me as I continue to grow and pursue my career as well as bringing it all back to my chapter. I hope to show them that we should all be proud of what a degree in English can do and that its worth in the ‘real’ world has no limits. 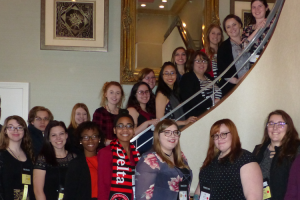 Again, I have to say thank you Sigma Tau Delta and BWB for making this possible for me.